Make room for new improvements for your home or business with land clearing and demolition services from Break-N-Ground. Based in Lynn Haven, Florida, we offer everything from building demolition to tree removal. Prepare your property for new construction with our residential and commercial land clearing. This includes tree removal, excavation fills, and the stripping of top soil to get to the clean ground. Whether you would like brand-new dirt or the existing on-site dirt, we always cater to your needs. Our demolition experts are able to obtain the permit necessary to tear down structures of any height. We work with jobs of any size, including movie theaters, subdivisions, and commercial buildings. After we are done tearing down the structure, we haul away the debris and grade the entire site for you. This gets you in great shape for the new construction or site work that you have in mind. 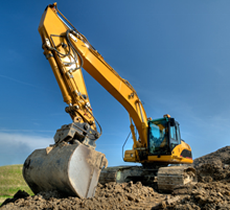 Contact us to begin your new construction project with our land clearing and demolition services.